Years of experience in the industrial scale business have given us the ability to create some of the most sophisticated products in the marketplace today. We are constantly refining and evolving our designs to adapt to our customers needs. Because of this, we are gaining more and more insight into how to create the most accurate, safe, and functional scales for every manufacturing protocol. One of the areas that seem to give most of our competitors the greatest challenge is when it comes to creating appropriate weighing platforms for chemical storage tanks. Storing any type of chemical is a delicate process, requiring the highest safety standards and precautions to offset any possibility of leakage, explosion, or flammability. This must be taken in utmost seriousness in order to provide a fool-proof and pristine environment. Another aspect regarding the safety and accuracy of weighing chemical storage tanks has to do with the vulnerability of the equipment used to construct their contents. 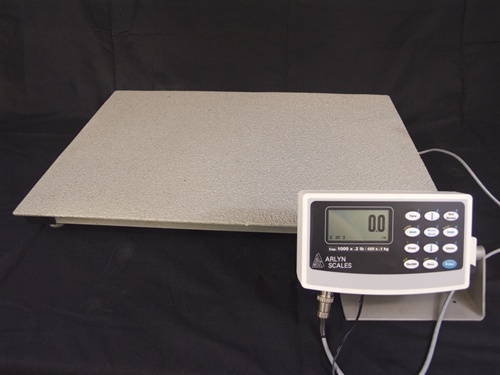 Many scales are not made with the appropriate sensitivity to handle caustic contents that may leak or spill, which potentially can cause irreparable damage to the scale, which means it can no longer be relied upon for accuracy. At Arlyn Scales, we are extremely aware of how important it is that every calculation is made with supreme precision. We know that if the weight of a tank is off by even a hair, your entire operation will be compromised, including your investment as well as your reputation. It is because of our highly attuned sensitivity to the use of chemicals and their effect on equipment that we have gained an incomparable reputation in the industry. Over the many years we have been in business, we are recognized as the company to go to for corrosion resistant scales that are manufactured specifically for highly volatile chemical storage. Volatile chemicals, whether they are in liquid, gaseous, or solid form, are forces to be reckoned with. Because of the obvious range of safety concerns, they need to be contained in the extreme. This means unremitting attention to the construction of weighing systems that are foolproof in their resistance to corrosion. When a scale begins to corrode, it can be compared to a very thin fault line in the earth where a tiny break in form can lead to an uncontrollable earthquake. Chemical storage tanks are used to contain a vast number of dangerous elements. In water treatment scenarios, they are used to prepare potable water for municipal use. In treating sewage and other waste water, they are used to neutralize poisons. Fertilizer manufacturing companies use chemicals like nitrogen, chlorine, and carbon dioxide. Harsh and caustic chemicals are also used in industries that deal with plastics, rubber, fire extinguishing, soft drink carbonation, and many more. Liquid gasses are found in the welding industry and semi conductor industries, and the list goes on. Because so many of our clients require scales that resist corrosion and damage, we have created specially made products that are coated with a special epoxy that creates a superior shield against all types of caustic elements. This epoxy coats the already corrosion resistant structure, creating a doubly sound environment for chemical storage tanks. With liquid or gaseous materials stored in cylinders that can weigh up to 4,000 pounds when full, our scales are also fabricated to endure shock from the challenge of great weight, torsion, and other factors that could potentially impede precise measurements. 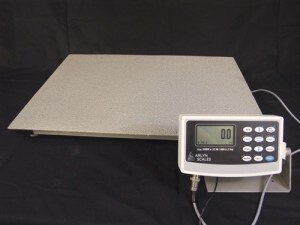 Our exceptionally high quality scales such as the 620G series are made with special load cells designed to handle intense force as cylinders are loaded and unloaded. Made with stainless steel instead of the standard plated steel often found in our competitors scales, our models are impervious to shock as well as chemical or any other type of liquid damage. Additionally, because our load cells are wide, they cannot be damaged by any kind of twisting that may occur as the cylinder is loaded. Arlyn’s customized scales can handle any environment where corrosion is a possibility. This means not only where harsh chemicals are concerned, but also in situations where weather is a factor. When equipment undergoes constant exposure to sunlight or other harsh extremes, there is always the chance that, if not well constructed, it will deteriorate and become vulnerable to damage. Another component that gives Arlyn scales their durability has to do with the welded stainless steel tubing used in their composition. Our exceptional casings for all electronic elements, as well as our gaskets and seals are made to resist any kind of decomposition, whether it comes from the environment or from the contents of a cylinder containing chemical compounds. The fact that there are no moving parts contributing to our scales instability also helps in keeping them well maintained, regardless of external hazards. Our serious adherence to all safety standards is evident in every aspect of construction. For more detailed information on our corrosion resistant scales for chemical storage tanks, feel free to consult with any of our technicians. We are always ready, willing, and able to help you with whatever weighing necessity you may have, solving problems and providing greater peace of mind along the way. Contact us today by calling 800.645.4301, or through our online form, which can be found here.